Download and install the IDP license. 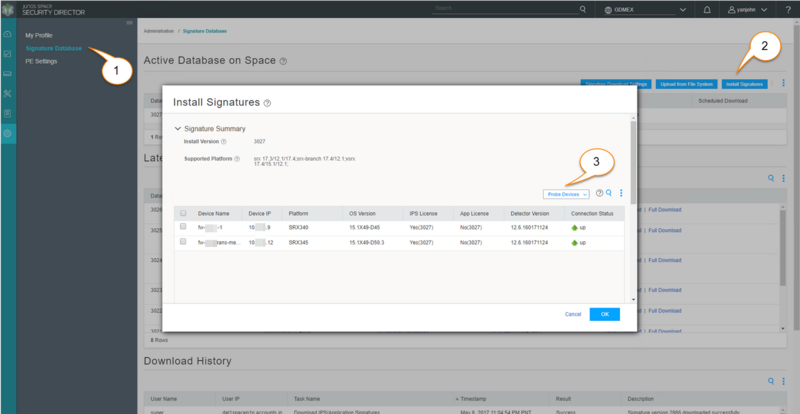 Download and install the signature database—You must download and install the IDP signature database. The signature databases are available as a security package on the Juniper Networks website. This database includes attack object and attack object groups that you can use in IDP policies to match traffic against known attacks. 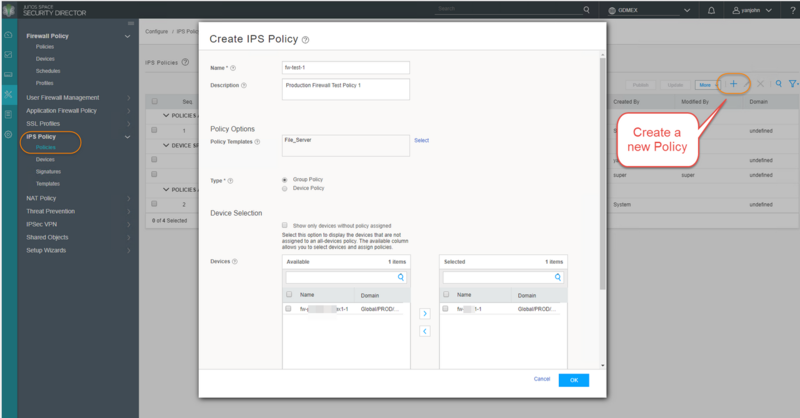 Configure recommended policy as the IDP policy—Juniper Networks provides predefined policy templates to use as a starting point for creating your own policies. Each template is a set of rules of a specific rulebase type that you can copy and then update according to your requirements. To get started, we recommend you use the predefined policy named “Recommended”. Enable a security policy for IDP inspection—For transit traffic to pass through IDP inspection, you configure a security policy and enable IDP application services on all traffic that you want to inspect. 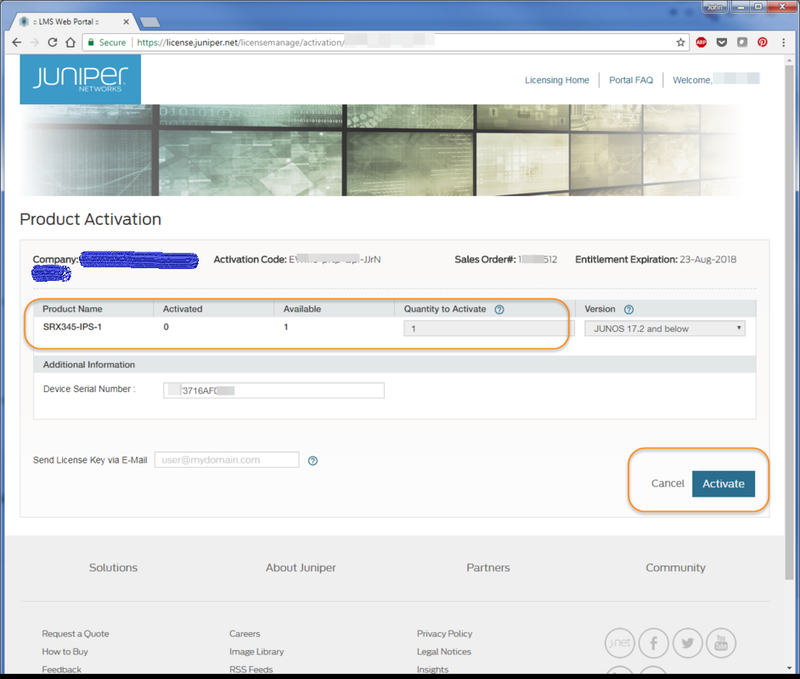 Customer ID: Net Sec Inc.
Make sure you have download latest signature database in your Juniper Space Security Director. 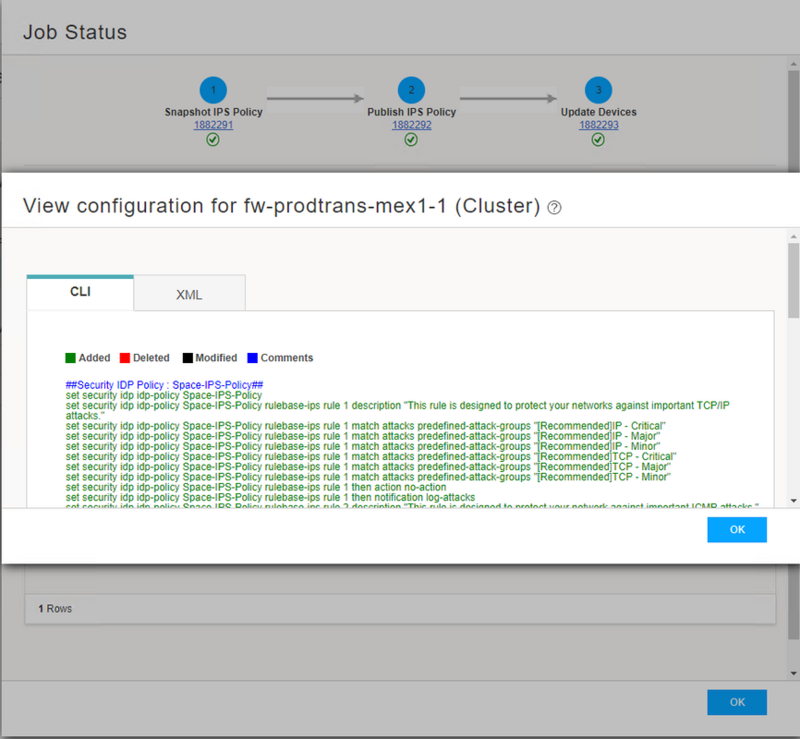 You may need to probe the SRX devices to find out the one you just installed license. 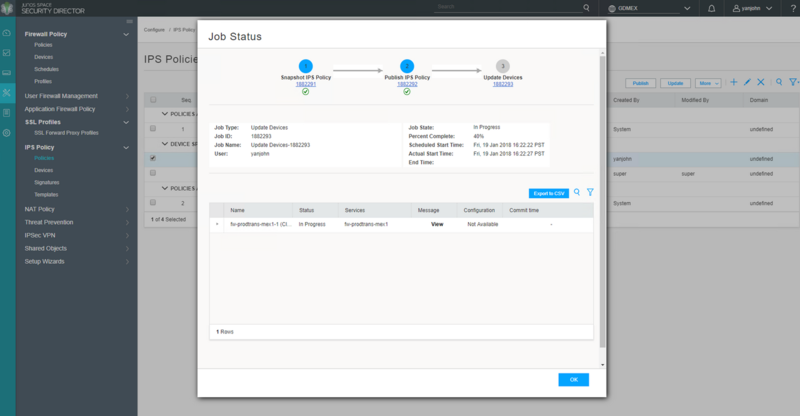 3.1 You can use Juniper Space Security Director to create your first IPS policy. There are different type of templates to be used as an example. This is the last step, for each firewall rule, there is column 'advanced security' to allow you to enable IPS on this rule.